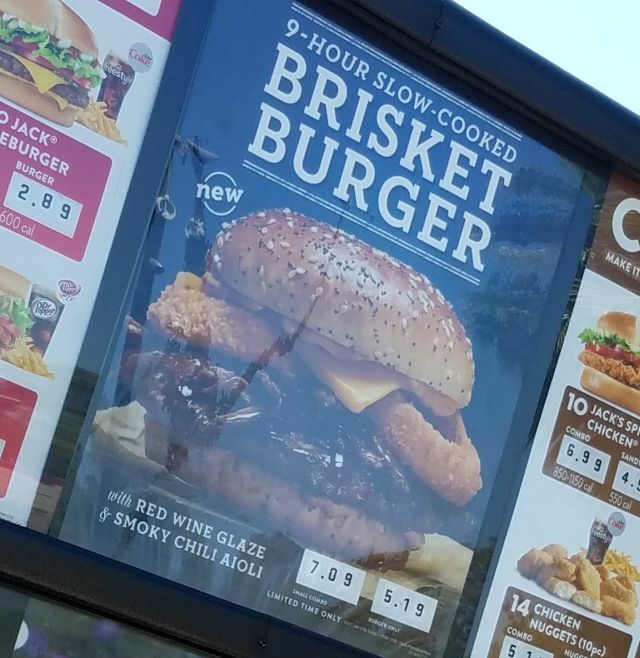 Jack in the Box has been spotted testing the new Brisket Burger in at least one location in Escondido, CA. The new burger features brisket that's been slow-cooked for nine hours, a red wine glaze, and a smoky chili aioli. Also along for the ride are a burger patty, cheese, onion rings, and the same artisan potato bun last seen on the Brewhouse Bacon Burger. The Brisket Burger fits a trend as brisket has enjoyed some popularity in recent years. After a successful limited-time run, it finds itself a permanent fixture on the Arby's menu. It's also seen some time on the Carl's Jr.'s menu as well as on a pizza at Little Caesars. 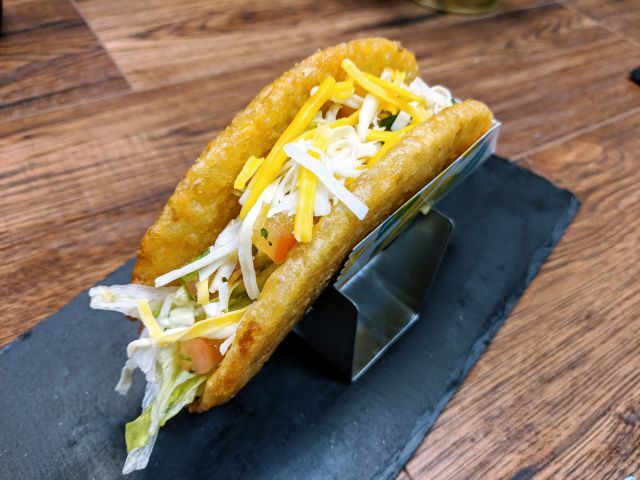 It's even been tested by Wendy's (on a cornbread bun no less). The new burger was spotted by Jay at a location not too far from Jack in the Box's San Diego headquarters. It was selling for $5.19 for just the burger and $7.09 for the burger, fries, and a drink.